This is the ‘Hole,’ where Fred keeps his ferrets in the back garden. Fred is very keen on field sports. Note the snares hanging in the background. 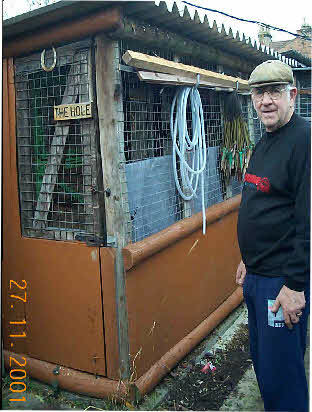 They are used for snaring rabbits, he has larger versions for foxes.